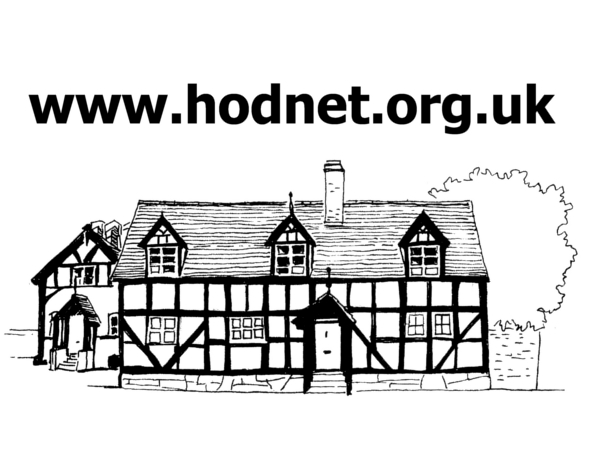 There are 52 listed buildings/structures within the parish of Hodnet. 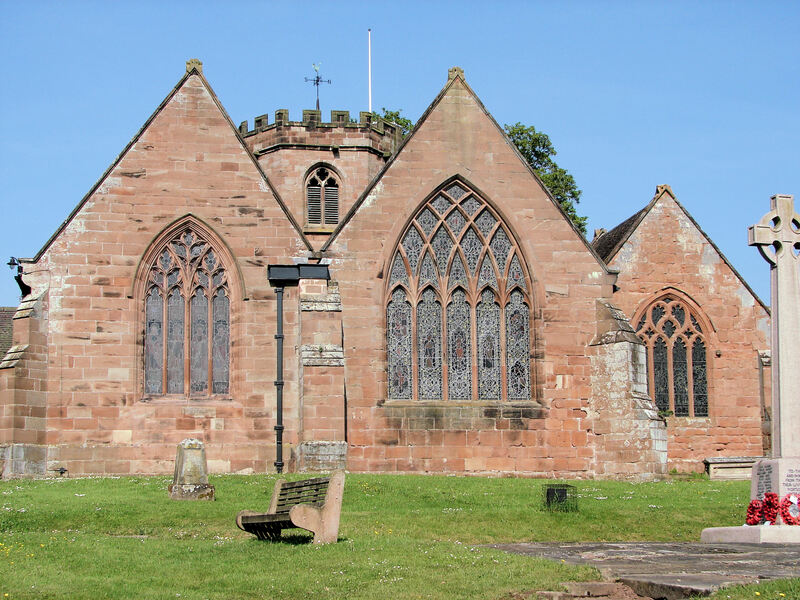 Saint Luke’s Church and Hawkstone Hall are considered as being of exceptional architectural interest and are therefore scheduled as Grade I. The other 50 buildings/structures are of special interest and listed as Grade II. Five of these – Peplow Hall, the Tithe Barn and Dovecote within Hodnet Park, Wollerton Old Hall and Abbey Farmhouse within Hawkstone Park – are considered particularly important in this category. Hawkstone Hall, a wonderful Georgian mansion both inside and outside. Hawkstone Park.There are ten listed buildings at Hawkstone Park. 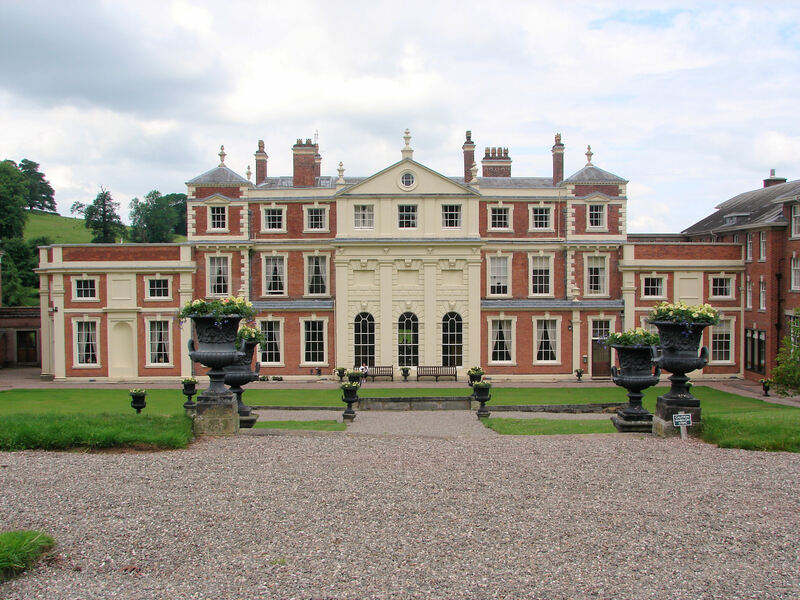 These include the impressive Grade I listed Hawkstone Hall, formally a country house now a pastoral centre. First built in the 17th century, it was altered in 1719 -1725 by Richard Hill, and remodelled and enlarged in c.1750 for Sir Rowland Hill. In 1832 -1834 the architect Lewis Wyatt undertook further alterations and extensions. There is a long list of both internal and external noteworthy features. A history and photographs of the house can be found at the Hall’s website. 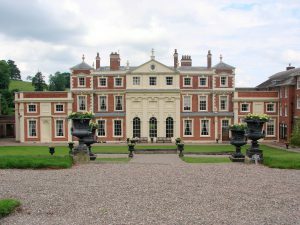 There are several other listed buildings close to Hawkstone Hall. These include a c.1900 grey sandstone sundial, an 1832-4 conservatory, farm buildings, and vineyard retaining walls, tower and steps. Hodnet. Saint Luke’s Church, as stated above, is Grade I listed and has numerous features which have made it worthy of this listing. The church is of red and yellow sandstone. The oldest part of the building (the south isle) dates from the 12th century. In the 14th century the church was remodelled, with the south isle chapel, nave, chancel and rare three-stage octagonal tower added. The church was restored and the vestry added in 1846. The north chapel was added in 1870 with further restoration taking place in 1883. In 1870 the Grade II listed lychgate was constructed from red and yellow sandstone in a decorative Gothic style. Further history and internal and external photographs of the church can be found at website. Just to the south of the church at the entrance to Hodnet Hall is a gateway and flanking walls in the neo Jacobean style, dated 1887 and Grade II listed. 19-21 Drayton Road, A timber framed hall house built in the 15th century. Close to the church lies the ‘old’ village most of which was built in the time of the Vernons, providing housing for their estate workers. Here there are ten timber-framed with painted brick nogging cottages. 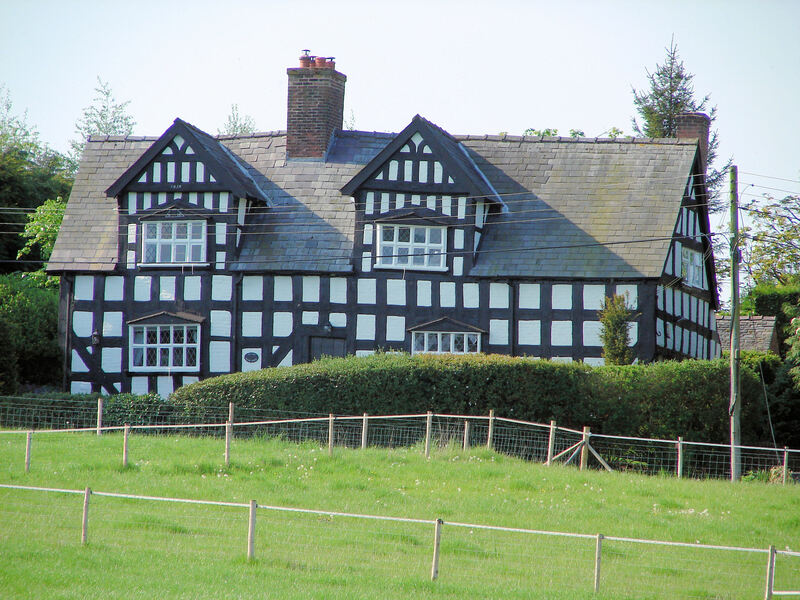 These date in age from mid 15th to mid 17th century; all are Grade II listed. One of the most notable buildings in the village is a medieval hall house dendrologically dated to 1467. This has been split into three houses, 19 -21 Drayton Road. 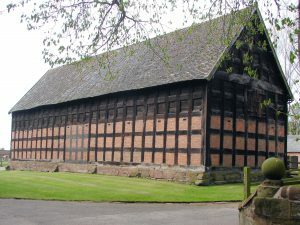 Within the grounds of Hodnet Hall there are two Grade II listed buildings of special architectural interest: the Tithe Barn, dated 1619, is timber-framed with red brick nogging on a red sandstone dressed plinth. The Dovecote, dated 1656, is of red brick, laid in the English bond with vitrified headers and grey sandstone dressing. Near to the Tithe Barn there is a gateway and flanking walls dated 1631, constructed from yellow and red sandstone. The Grade II listed Paradise Lodge dated 1853 is a particularly attractive T-plan house in the decorative Gothic style. The old Manor House (Grade II listed), Marchamley. Marchamley. There are six Grade II listed buildings in Marchamley. Three of these are along School Lane, and include the 15th century School House which was originally a school and school house. There is also a pair of 17th century cottages (Ivy House and Hillhampton Cottage) that are of timber frame construction with painted brick nogging. 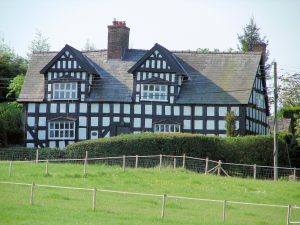 The Old Manor House, also down School Lane, is dated 1656 and 1658. 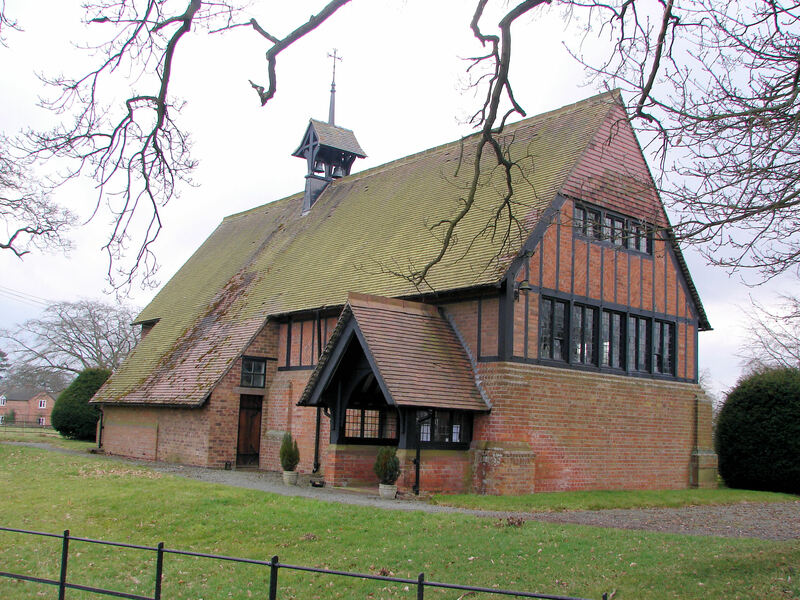 The Chapel of the Epiphany built by Richard Shaw for Francis Stanier. Peplow. There are six listed buildings in and around Peplow. The most notable of these is Peplow Hall. This is a country house first constructed in 1725 and enlarged in 1887 for Sir Francis Stanier. The house was reduced and altered in 1932 – 1939. 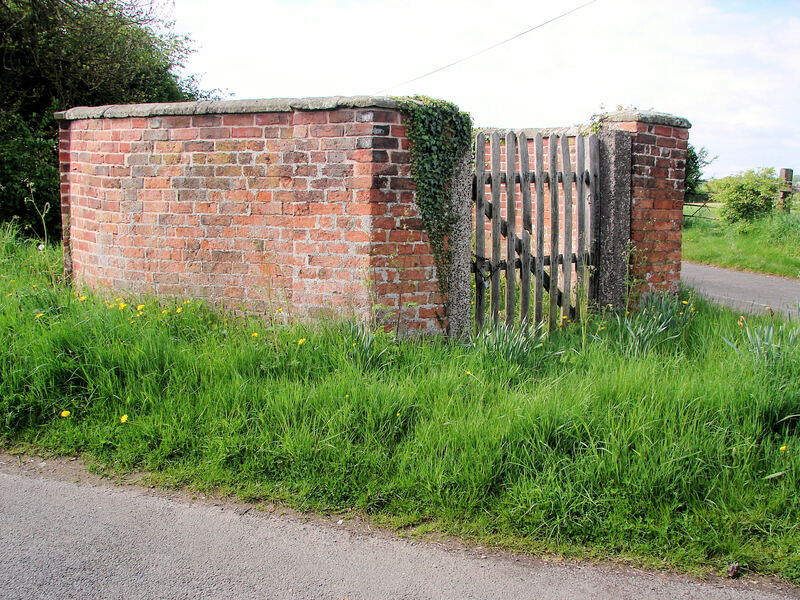 At the end of the driveway there are gates, piers and flanking walls built in 1725 by ‘Jones of Wrexham’. These are Grade II listed. 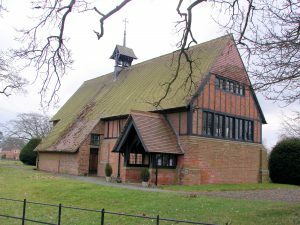 The Chapel of the Epiphany 1877 – 1879, built by Richard Shaw for Francis Stanier, is Grade II listed. A detailed description, history and photographs of this building can be found at,website. Wollerton and Lostford. There are six Grade II listed buildings/structures in Wollerton. These include The Pound, a late 18th century brick structure built to corral wandering cattle and the 16th century Pound Cottage which is timber-framed with wattle and daub, with brick infill. 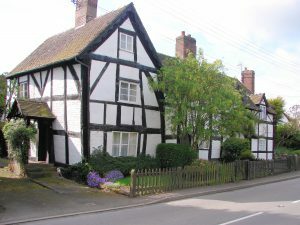 The late 16th century, half-timbered Wollerton Old Hall, and the 17th century, timber-framed with painted brick nogging Old Hall Cottages, occupy the eastern end of the hamlet. Lostford has three farmhouses that are all Grade II listed. The oldest of these is Lostford Hall Farmhouse which is 17th century (possibly incorporating an older core). This is of red brick, laid in the English bond. Department for the Environment (1987) List of Buildings of Special Architectural Interest, District of North Shropshire. H.M.S.O. Moran. M. (2003). Vernacular Buildings of Shropshire. Logaston Press. Newman. J., Pevsner. N. (2006) The Buildings of England, Shropshire. Yale University Press.